Arbin is confined in winter's embrace. Under the mailed fist of an occupying army, the oppressed people of the lower city are stirring to life.All Tane wanted was some peace, but it's hard to come by in times of war. Unable to keep the outside world at bay, and unable to resist the sweet jangle of a handful of silver, he is soon drawn into the maelstrom of all the world's problems as they come to a head.When he is recruited to carry out a high-profile hit, Tane comes up against the swell of larger forces vying for positions of power in Arbin. Meanwhile, the disenchanted citizens, left by the wayside, are finding voice and taking their complaints to the streets. These powerful forces are coming into conflict, but nobody's motives are as simple as they appear. Tane is forced to choose whether he stands with his people, or stands by his word.He must decide whether he is able to resist his very nature. 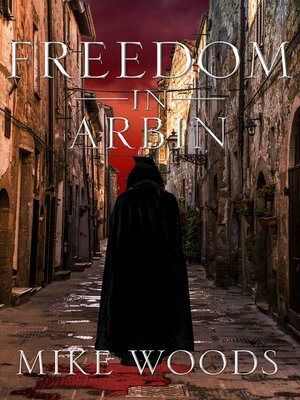 And decide the true price of freedom.Freedom in Arbin is the final book in the Arbin Trilogy.